THEMIS and ATLAS, are meant for high efficiency motor drives and power converters. THEMIS and ATLAS are especially designed to drive seamlessly the most advanced power switches, including Silicon Carbide (SiC) MOSFETs and JFETs as well as Silicon IGBTs and MOSFETs. The chipset is the cornerstone of energy-saving, reliable power converters and motor drives. They are part of HADES®, an integrated Gate Driver sustaining high temperature. Therefore, they can be located next to the SiC power switches, reducing the parasitic inductance to a few nH and hence reducing switching losses because of faster transitions. Lower switching losses allow increased switching frequency of power converters, which in turn reduces the size of passive components. The THEMIS-ATLAS Evaluation Kit includes an Evaluation Board, the complete electrical schematic, the Gerber files, the bill of materials and an Application Note. It allows immediate evaluation of the performance of the power transistor driver chipset CHT-THEMIS-ATLAS, in applications such as motor drives and power converters for applications in aerospace, renewable energies and electric & hybrid vehicles. 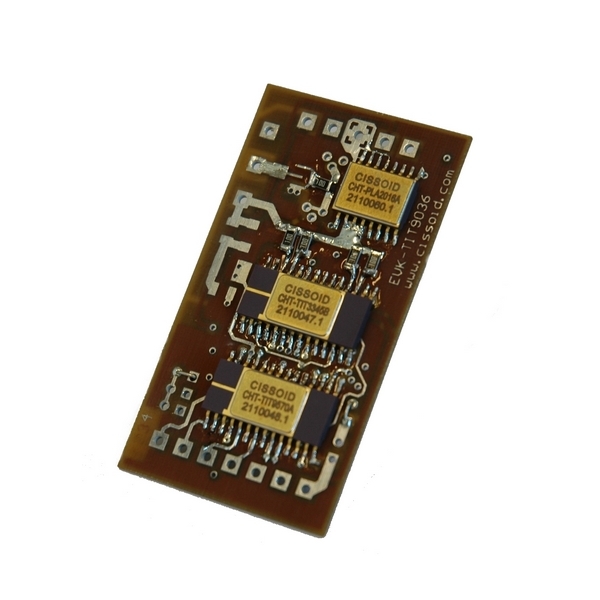 The Evaluation Board is built from a 200°C polyimide PCB, and it is populated with CHT-THEMIS and CHT-ATLAS integrated circuits in ceramic packages guaranteed for -55°C up to +225C. The board allows short excursions to +200°C~225°C for testing.